Presentations offer the chance to sell, persuade, inform, educate, attract and entertain. However, if your information is not presented appropriately and accurately, you can lose all credibility and damage your professional image. Are you equipped with the skills needed to create powerful, professional presentations in minutes that get the results you deserve? From text and image creation to animation and transitions, the tools available in PowerPoint can be beneficial in creating an exciting, informational presentation — or detrimental if used incorrectly. Because there are so many features available, developing a presentation can be very complex, intimidating and downright overwhelming. With the tools and techniques packed in this powerful PowerPoint training program, you'll learn insider secrets, savvy shortcuts and essential how-to's for creating PowerPoint presentations that will enhance your message, engage your audience and improve your professional image. Plus, you'll be able to implement the tips and tricks you learn in your very next presentation. After attending this workshop, you'll be giving presentations that guarantee your message gets delivered in a way that will have your audience wanting more — and you enjoying success! If you've ever had to sit through a dull, depressing or disastrous presentation, you understand just how important they can be to your success — and your organization's. With the skills gained from attending this powerful webinar, you'll learn how to stop using trial and error and start getting the results you're looking for. 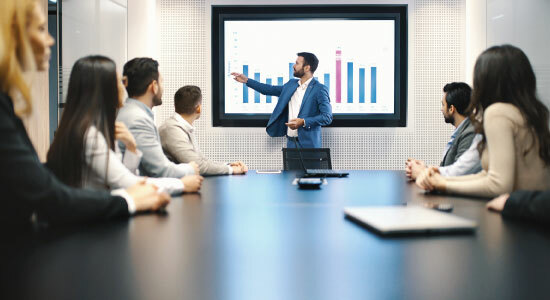 60 Minutes of PowerPoint Secrets class will help you concisely identify your message, choose appropriate features to support and enhance it and pick the most beneficial ways for conveying it to your particular audience. You'll be creating presentations like a pro in no time! Don't wait to sign up for this information-packed course! You will be amazed at all you will be able to accomplish with the tips, tricks, tools and shortcuts you'll learn. Guarantee that your presentations are remembered for all the right reasons and gain the respect and results you deserve! Managers, team leaders, supervisors, administrative specialists, marketers, sales associates — anyone and everyone who uses Microsoft PowerPoint and is looking to add power and pizzazz into their presentations!